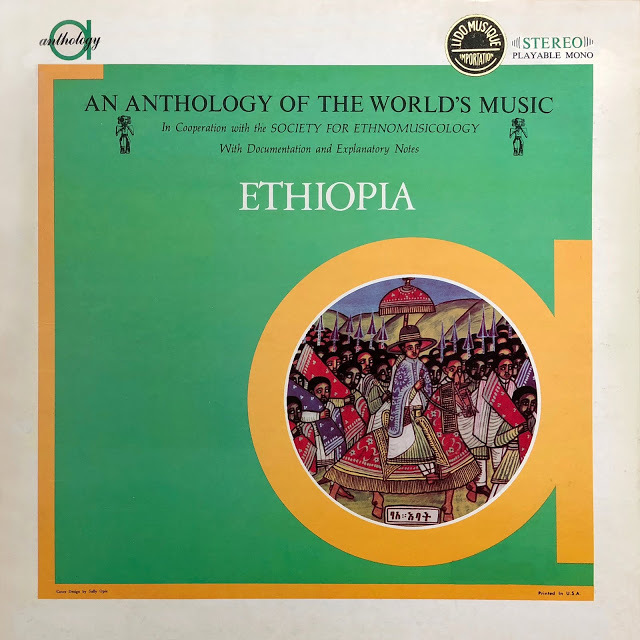 This anthology showcases the music of the Azmari bards, or minstrels, from the Amhara Region in Northeastern Ethiopia. Most Amharas, aka as Abyssinians, are Christians, members of the Ethiopian Orthodox Tewahedo Church founded in the 4th century. The gorgeous program featured here includes Melaku Gelaw playing solo washint wooden flute (A1, A4) and solo krar lyre (A2); and singing and playing krar (B1); Wolde Marriam singing and playing krar (A3); the powerful and inspired interplay between Asegedech Mekonnen’s spellbinding singing and Getamesay Abebe’s masinko, or masenqo, single-stringed bowed lute (A5, A6, B2, B3); and Getamesay Abebe singing and playing masinko (B4). Regarding downloads check the disclaimer at the bottom of this page and the comments of the post! Although much of the information contained in this Blog has been provided directly by their authors, I acknowledge publicly that some articles and images in this section, are extracted directly from Internet. My only intention is to further promote these musicians and their representatives, as well as its history, styles, etc.. 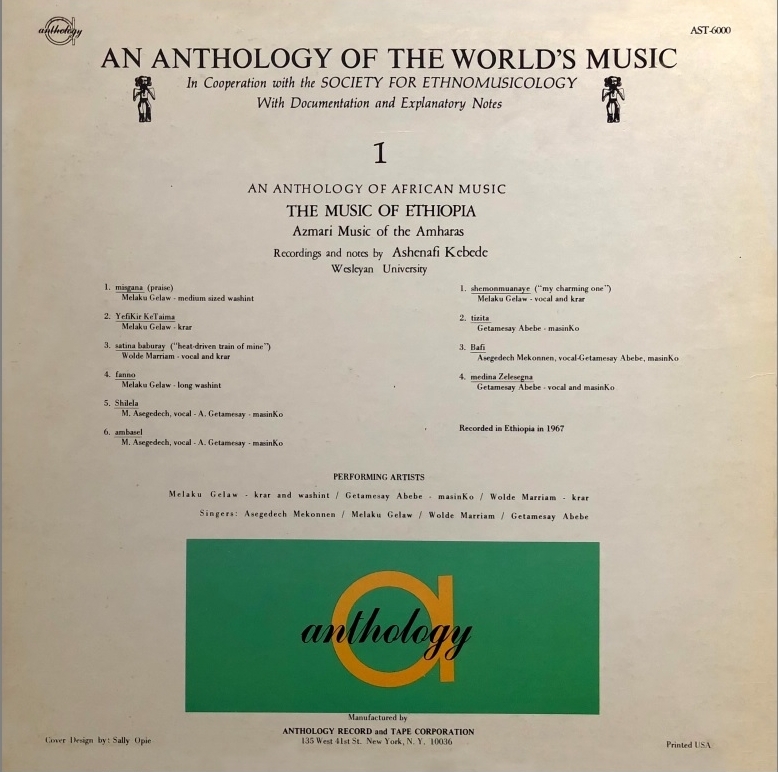 Therefore, I make known to the authors of the articles or images, if you do not agree to appear in "my passion for ethiopian music", let me know 2b0rn0t0b@gmail.com email and I'll remove them from the Blog. mp3 files are available for a limited time only and are only provided for promotional use only. I do support live music and I support by promoting the artists I love. If you'd like to see any file removed, please email me directly before alerting anyone else -- I'll gladly comply.